Which organization will the money be directed to? 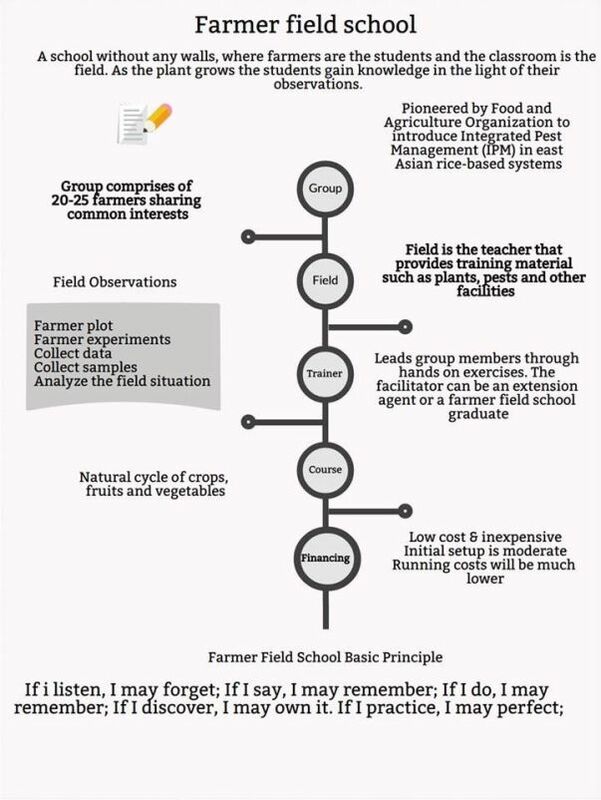 Center For Sustainable Agriculture , a not profit organization registered in India with FCRA status. CSA has been working extensively across different states in India and providing both long term and short term solutions. For the big question - where and how would this money be used? 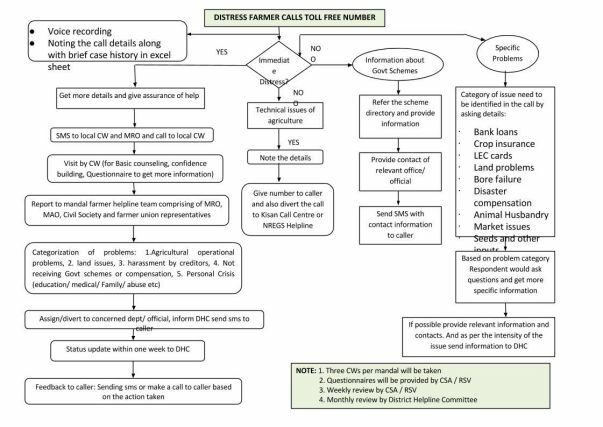 To establish farmer helplines - The below chart was prepared by Rythu Swarajya Vedika (our ground partners). The idea is to establish similar helplines in other areas. 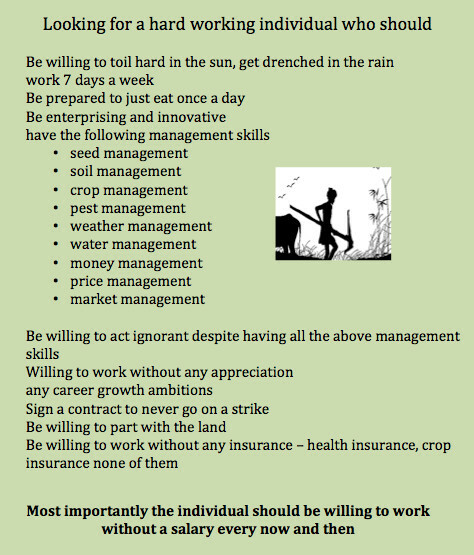 Why are farmers undervalued so much? The focus will be in the states of Andhra, Telangana, Maharashtra, Tamil Nadu given our reach in those states. This section will be updated as we are able to crystallize this information further. "A farmer doesn’t have enough of water, sunlight, big farming land, money, seeds, fertilizer and things. Sometimes a drought hits. Not enough water, but too much sunlight. Sometimes a farmer didn’t have enough money to buy seeds to grow crops. How will they grow the crops? When the crops do grow the farmer will take the to the market but half way through the plants are half destroyed. They walk for nothing, something or they might succeed. We have to help farmers in India. I grew 1 bean and it took work and patience. Farmers do so much work. We should put our heads together and do our part. 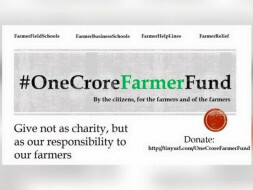 We all need food so help the farmers." Message: Help is on the way"
The letter ends on a positive note that help is on the way. This is exactly the intent behind this effort. 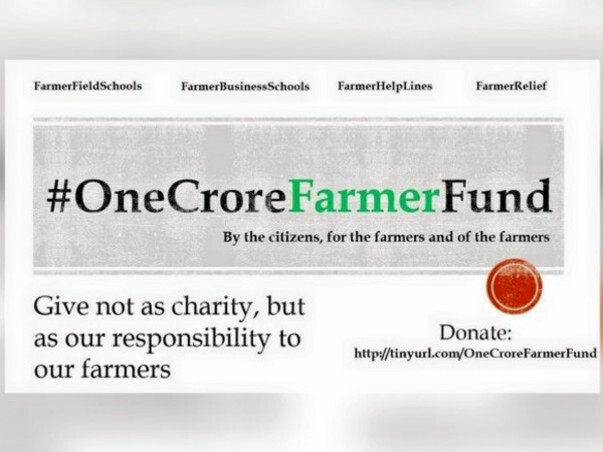 To create a 1 crore fund to serve the needs of farmers in distress. 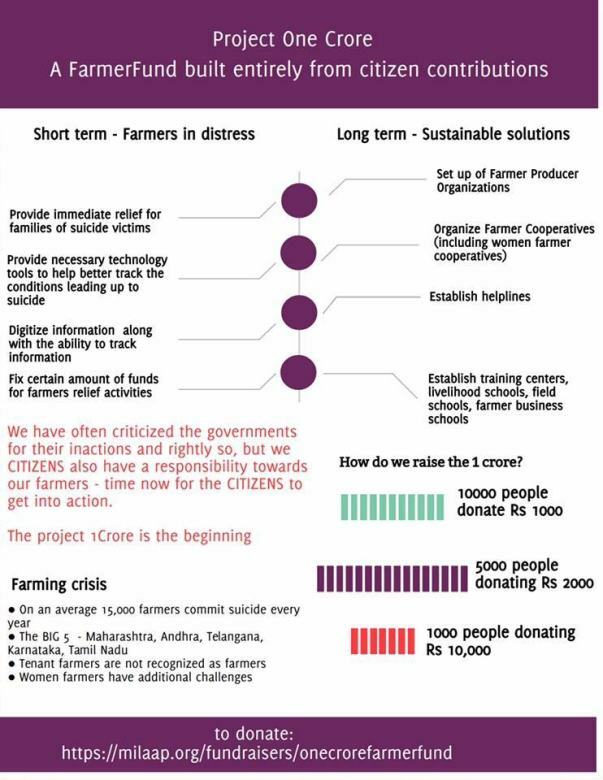 We have a solid network of volunteers, NGO's on the ground across the different states in India and through them we intend to reach out to the farmers, identify those in distress and be proactive in our approach to offer help. Such an intervention will allow us to avoid the situations that push the farmers into a further deepening crisis. 1) What projects have I taken up in the past? 2) But why 1 crore? Ans) 1 crore is not a small amount and also not a big amount either in the overall scheme of things. However, this is significant enough to take up activities that are sustainable in nature. 3) Give examples of any success stories? This is a predominantly SC village and the government had allocated lands to them, but almost all of the 80 acres was barren land, completely uncultivable. After multiple visits and persuasion, the women in the village agreed to try organic horticulture plantation. The agreement was that the farmers form a co-operative society, instead of working as individuals. After utilizing all possible government subsidized schemes for providing water (bore wells), electricity and drip irrigation facilities, each farmer is bound to pay Rs. 6000 per acre from their pocket. Unfortunately, all these families are daily-wage laborers, hence Rs.6000 per acre is difficult for them to manage and banks cannot lend loans for them without any security. We contributed Rs. 3000 per acre and farmers have to bear the rest of 3000. This will encourage the community farming and they are going to have better bargaining power with the banks, government schemes and while selling their produce as a co-operative society. This was almost a year ago. Since then, the cooperative has been formed and the bore has been dug, electricity connections has been approved and are right now awaiting the lines to be installed. The goal is to start cultivation this season. These 5 villages were identified as vulnerable and poverty-ridden due to their heavy dependency on private loans for cultivating cash-crop, Cotton. Tribal villagers from villages are depending on private lenders, right from Cotton seeds, fertilizers, pesticides and their family expenses. They have to buy all their food products, because they only grow Cotton. All the private lenders were charging 36% - 48% as interest for their loans. This was affecting them severely, and they have no option but commit suicide, if a crop fails. We worked alongside with CSA on a project in these villages to move them from input intensive cash crop, Cotton, to suitable food crops. To begin with, CSA helped farmers who came forward with the local hybrid seeds, instead of costly B.T. seeds. Central Institute of Cotton Research (CICR) develops these seeds suitable for the soil. CSA procured seeds from CICR and distributed them to the farmers in these villages. 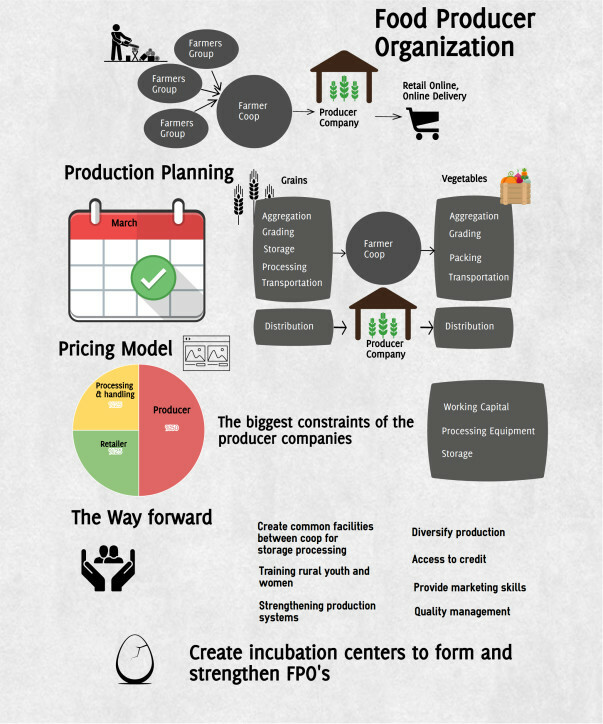 This helped them reduce the seed pricing from Rs. 1800 to Rs. 150 for each 300gms packet. CSA conducted trainings to the farmers on how to prepare their organic fertilizer and pesticides, so that they can spray these instead of costly pesticides from the money lenders. This worked out quite well during the first year itself, as farmers saved money on the seeds during the drought season. In the year 2, CSA introduced intercrop (Red gram) along with Cotton. While they are practicing organic farming, they were able to produce organic Red-gram as an intercrop CSA procured the Red gram through Sahaja Aharam store and paid good money to the farmers. This actually helped farmers, when the Cotton crop failed due to drought conditions and lack of rains during the critical period, so they were able to save Red gram. This year (year-3), farmers are being encouraged to form co-operative societies in these villages, so that they can be eligible for government subsidies and other schemes. Red gram will be encouraged more as a main crop as well as intercrop, as Cotton cultivation need to go down this year. Also, a plan is being developed to make these co-operative societies as Farmer Producer Organizations, so that they can produce Soybean seeds, as Adilabad soil is suitable for Soybean.